An Intro to Dental and Medical Accounting for Small Business Owners Accounting is necessary to make informative business decisions and for tax purposes. Two well known and commonly used accounting methods are accrual and cash accounting. Small businesses that generate under 5 million dollars in revenue each year, are eligible to elect either cash or accrual accounting methods. There is a lot of information online provided by CPAs, comparing the disadvantages and advantages of both methods. Small business owners often receive more information than is necessary, and do not walk away with an understanding of which method is best for their business. Depending on what type of business you own, choosing the wrong method won’t serve your company’s best interest. Dental, medical, and other similar service type businesses should use cash accounting. If you have a basic bookkeeping software program at your fingertips, you probably won’t need a full-time bookkeeper’s assistance. As long as you are able to stay on top of recording all of your business’s expense and income transactions, you should be fine. Software programs can save you a lot of trouble, by providing monthly balance sheets and taking the pain out of tax preparation. Accrual accounting results in higher costs and the need for a professional accounting service. Since this method has both accounts receivable and accounts payable entries, meticulous monitoring and reconciliation is necessary. If a medical or dental practice takes most forms of insurance, accounts receivable won’t actually display the company’s revenue during a certain pertain. In reality, patients don’t always pay their bills within 30 days, nor do insurance companies regularly pay full claims within that time period. The low reimbursement rates by insurance companies and relatively low patients collection can pose a real problem for dental and medical practices using the accrual accounting method. Having this false sense of income, does not help small business owners make informed financial decisions and later results in an unexpected and significant accounts receivable write off. Using the cash accrual method doesn’t mean you won’t ever need a dental CPA or dental bookkeeping services. The point is to keep things as simple as possible and save yourself from having to deal with unnecessary complications. Most small business owners use cash accounting for this purpose. Considering, cash accounting also has its drawbacks, such as income forecasting and expense cash flows, it is crucial to seek the advice of a professional. Outsourcing your bookkeeping for even a few hours a month can make a huge difference. 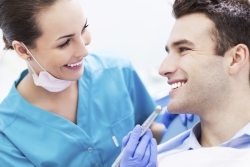 Accounting for dentists and doctors should be outsourced to top quality CPAs and bookkeepers. If you want to grow your practice and invest in your business, it is important for you to work with only the best.